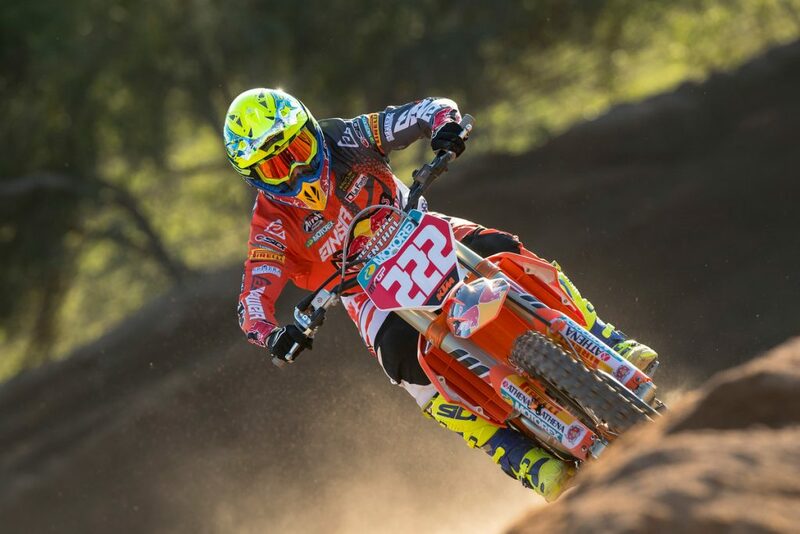 With a few pre-season events to warm up under their belt, the orange squad is focusing on the countdown to the opening round of the FIM Motocross World Championship in Neuquen, Argentina. From the deep sand of Sardinia, to the wintry conditions of Hawkstone Park and with just a few more races to go, the testing is almost complete ready for the 19 Grands Prix events that lie ahead. Take a look at this year’s team in the all-new video with the line-up of Tony Cairoli, Jeffrey Herlings, Glenn Coldenhoff, Pauls Jonass and Jorge Prado.